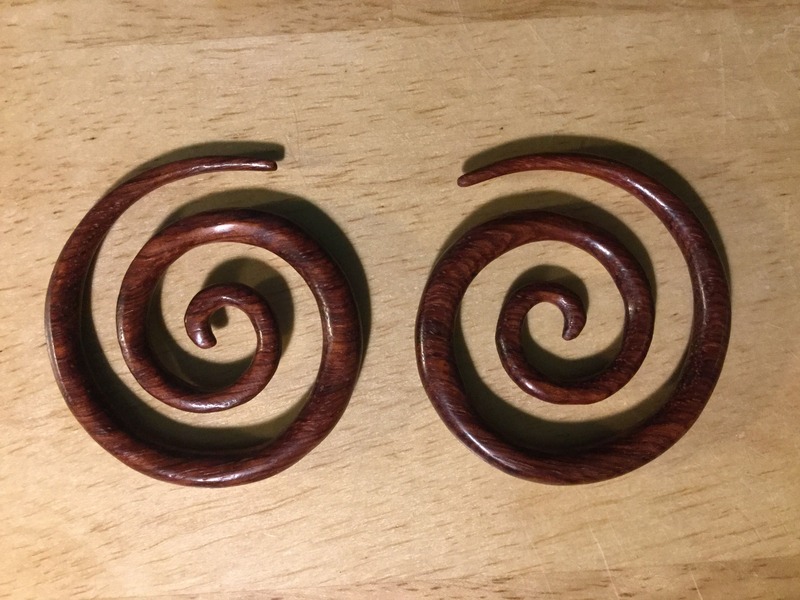 These long spiral tapers are handmade from bloodwood and polished to a smooth finish by Siam Organics. Choose your size below. These spirals are gorgeous and well made. I oiled them up to condition the wood, as I do with all my wood jewelry, and they got even more beautiful. It made them rich and shiny and the red color really popped out. Just the size I was looking for too. I’m so happy with this purchase. Thanks again Tulsa, for more great earrings! I'm really happy with my spiral tapers. They are everything I wanted and expected them to be. I'm always very satisfied with my purchases here.